Description: This recall involves all Salsa Minimalist bicycle racks sold after January 2011. The racks are made of tubular aluminum with a black or silver finish, and can be installed on either the front or rear of a bicycle. 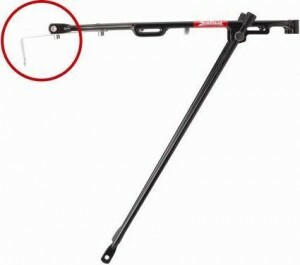 The recalled bicycle racks have steel mounting brackets, identified as straps, with a single hole in the center used to mount the strap to the bicycle fork. “Salsa” is printed on the side of the bicycle rack. Sold by: Bicycle retail stores nationwide and on Internet retailers from January 2011 through March 2012 for about $80. Remedy: Consumers should immediately remove the recalled bicycle racks and contact an authorized Salsa dealer for inspection, re-mounting or refund.